Reading rooms are a funny thing. Some are quaint and a breeze to navigate. Others are a maze both in how records are organized and where you can find a seat. At a recent staff meeting, our researchers began talking about their favorite archives and reading rooms. We’ve researched in a range of places, including spider-ridden basements, corporate warehouses, and revered places like Berkeley’s Bancroft Library. While they all provide the meat of archival research, there are those special places that evoke a sense of place for the work that we do. With that in mind, we’ve decided to begin a blog series that highlights some of our favorite places to conduct research. Enjoy! A little over a year ago I had the opportunity to travel to College Park, Maryland, to conduct research at Archives II. 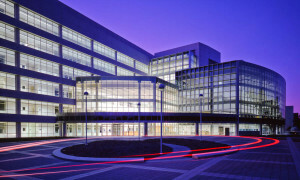 College Park is a suburb of Washington, D.C., and when the National Archives’ downtown branch became too small, Congress appropriated money for this larger facility in D.C.’s hinterlands. After spending four days at the facility and scouring over countless boxes of records relating to the zinc industry during World War I, I became smitten with the Archives II Textual Reading Room. Those familiar with the facility might think it’s an unlikely choice. For me, going to College Park was an opportunity to explore a piece of my own family’s history. For me, researching at Archives II was like a homecoming. 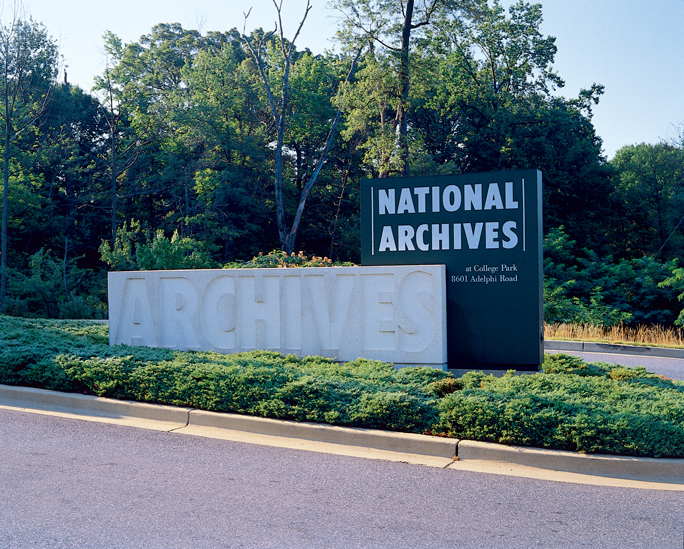 Entrance to the National Archives in College Park, MD (source). In 1971, my father arrived in College Park after growing up in British Columbia, Canada. My father’s time in Maryland allowed for exploration around Washington D.C., which in turn cemented his love of American history, something he would later pass on to me. It would take a number of years, a different Washington (the state) and the inspiration from a naturalized U.S. citizen (my mother) for my father to become a U.S. citizen. The opportunity to see the area that was so inspiring to my father excited me. The discovery that Archives II was built during my lifetime, however, was disappointing; I had envisioned researching in a beautifully preserved historic building that my dad might have passed by on occasion, not in one that had opened its doors so recently. The revelation prompted immediate research into the history of facility. My investigation into Archives II proved illuminating. While the National Archives and Records Administration (NARA) didn’t complete construction on Archives II until 1993, its history stretched back much farther. Completed in 1935, the historic NARA Archives I building on Pennsylvania Avenue in Washington D.C. reached its storage capacity after only 35 years of operation. 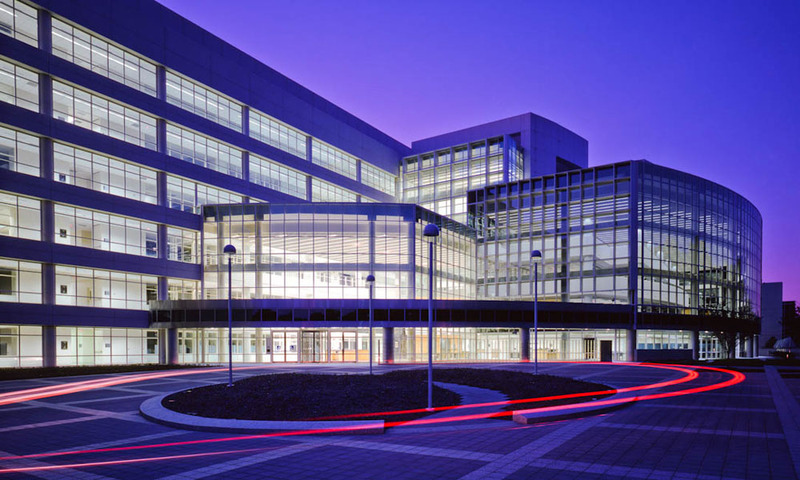 As a way to alleviate the mounting paperwork to which our country’s various agencies contributed daily, documents were rerouted to the Washington National Records Center in Suitland, Maryland, and to a building leased by the federal government in Alexandria, Virginia. As might be expected, these facilities did not meet the expectations outlined for the storage of archival records. It wasn’t until the mid-1980s that a home for thousands of orphaned documents was realized when the University of Maryland agreed to donate 33 acres of land for a new archival building. At long last, on September 22, 1988, President Ronald Reagan signed the public law which authorized NARA to construct Archives II. Five years later, Archives II opened its doors. The National Archives at College Park, MD (source). Today Archives II houses a wide variety of archival material including manuscript collections, photographs, maps, drawings, and films. 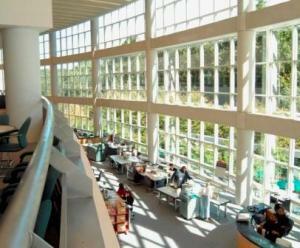 The Textual Reading Room on the second floor boasts floor to ceiling windows which not only provide a beautiful view of lush green trees but also ample natural light, a rare commodity in archives. The use of space in the reading room is equally impressive. Clusters of four-person work stations dot the room’s floor, which makes navigating a cart of 20 plus boxes an adventure filled with interactions with fellow researchers. At the conclusion of my four-day research trip, I found it equally humbling and exciting to witness Archives II’s vast reading room full of researchers digging into the country’s historical record. The Textual Reading Room, National Archives, College Park, MD (source). For myriad reasons, Archives II evokes a personal sense of place for me. Perhaps most importantly, just like Archives II, I am a product of the amazing growth of the United States has witnessed over the past hundred years. While my history in the States is a young one, Archives II proves that I can get my hands dusty digging into a past that is much older.